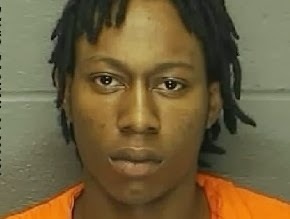 MAYS LANDING – An Atlantic City man has been sentenced to 12 years in prison for causing the death of a 6-month-old baby in September 2012, Acting Atlantic County Prosecutor Jim McClain announced today. On Friday, Jan. 24, Daquan Davis, 20, received a 12-year New Jersey State Prison sentence for the fatal shaking of 6-month-old Yusuf E’Miy Stewart-Ali Jr.
On Sept. 14, 2012, shortly before 4 a.m., the infant was discovered unresponsive by his mother upon her return to her home located in the School House Apartment Complex. The infant had been left in Davis’ care while the mother was at work. Upon discovery, the mother called 911, but the baby was pronounced dead at the scene. Following a joint investigation between the Atlantic County Prosecutor’s Office Crimes Against Children Unit and the Atlantic City Police Department, Davis was arrested later that evening. On Feb. 26, 2013, an Atlantic County Grand Jury indicted Davis, on charges of aggravated manslaughter, manslaughter and endangering the welfare of a child. On Aug. 21, 2013, Davis entered a guilty plea to the most serious charge—first-degree aggravated manslaughter. During his plea, Davis admitted to shaking the baby because it would not stop crying. At sentencing, the defense requested that due to a lack of a prior criminal record, that the defendant be sentenced as a second-degree offender, however, the State opposed that motion. “Even though this offense represents the defendant’s first adult conviction, the facts and circumstances of this case and the loss of an innocent child warrant a sentence in the first-degree range,” stated Assistant Prosecutor John Flammer. The court ultimately sentenced Davis in accordance with the plea agreement. Superior Court Judge Kyran Connor sentenced Davis to 12 years in prison, subject to the No Early Release Act (NERA). Davis must serve 85-percent or approximately 10 years and two months before becoming eligible for parole.